The iPhone 5 launched in China back in December with the company expecting it to make waves like it did in the United States. However, customers in China appear to be a bit smarter than the ones in the U.S. and don’t just run out and buy the next smartphone Apple releases just because of the symbol on the back. The Cupertino company’s market share of smartphones in China hardly increased at all during last year’s fourth quarter. 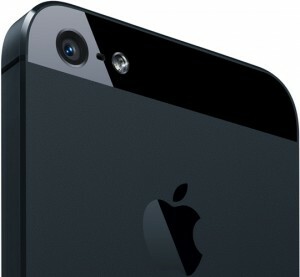 Apple retained the position as the sixth largest smartphone vendor in China that it had in the third quarter. Even though market share increased to 8.5%, which was up 0.5%, it still wasn’t enough to make a significant impact. Samsung, on the other hand, took the top spot with a 16% market share and was followed by Chinese vendors Lenovo, Yulong Computer Telecommunication Scientific, Huawei and ZTE. Booming growth in China’s smartphone segment overall was a detriment to Apple’s performance in the country as shipments reached 65 million units and growth was driven by low-end handsets priced relatively cheaply. According to Canalys Analyst Nicole Peng, “The iPhone 5 is doing very well, and you saw for the first time Apple announced it had sold 2 million iPhones in the first weekend of sales in China.” Peng also added that quarter-over-quarter Apple’s iPhone shipments in China were up 30%. The smartphone market in China is so large that Lenovo became the world’s top five vendor in the fourth quarter simply because of sales in the country. In addition to that, 98% of Lenovo’s smartphone shipments of 9.5 million phones went to China.